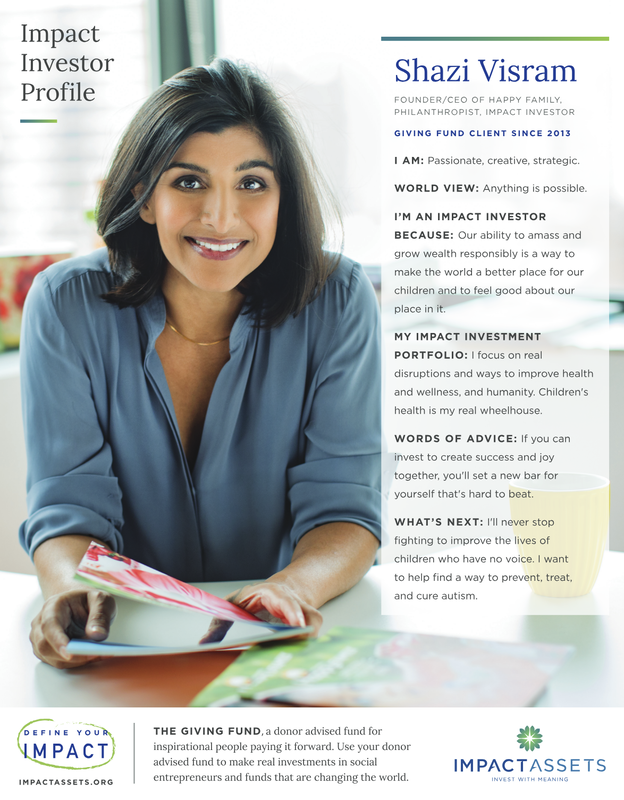 My work with ImpactAssets focused on creating clean, modern designs and layouts for an organization who was redefining what investment products could look like. 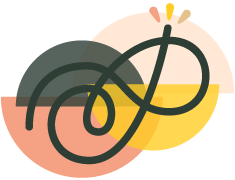 I collaborated with Director of Marketing, Amy Bennett, to refresh publications, website designs, ads, and annual reports over the course of 2 years. We focused on creating compelling visual marketing pieces that could make financial products easier to understand, illustrating the organization's direct impact, guiding people to the right product, and generating interest in impact investing. Typical financial reports feature tables and charts stuffed to the brim with numbers. Amy and I worked to present key data in the most visually compelling ways possible to get the same information across but in a much more exciting way. 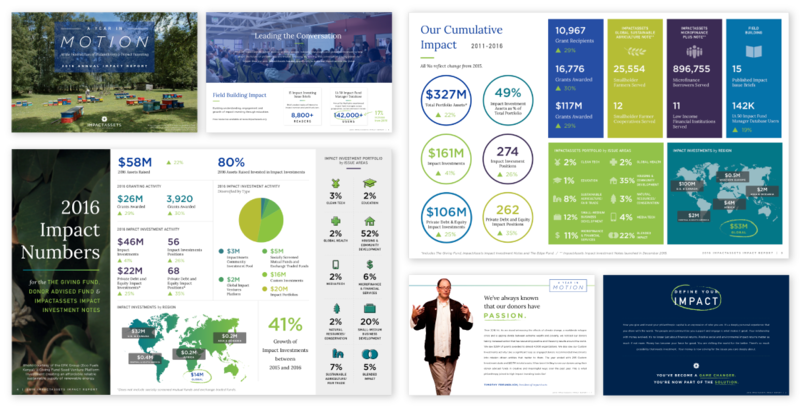 We were able to break away from a traditional page-by-page report in our second year of collaboration for a large full-spread format for the 2016 Impact Report to make the data jump off the screen even more.